Would it be possible for you to send me the pdf of the Sub-zero service manual. I have one that may need some repairs. The freezer will freeze water but not ice cream. I’m thinking it might be the freon charge in the compressor. Thanks. 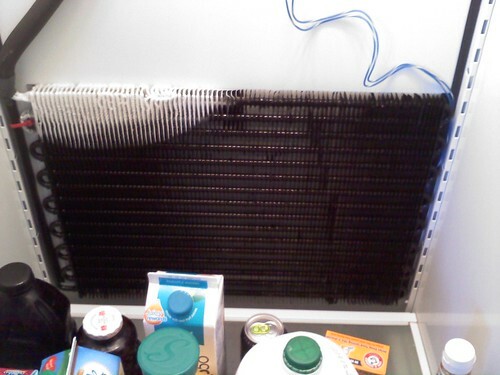 – Clean the condenser coil (the hot, dirty grill at the top by the compressor). – Make sure the condenser fan is running and at full speed, should really be moving air through that coil. – Make sure the door is closing all the way and the gaskets are making a good seal all the way around the perimeter and at the corners. This entry was posted in Refrigerator Repair on April 23, 2012 by Samurai Appliance Repair Man.